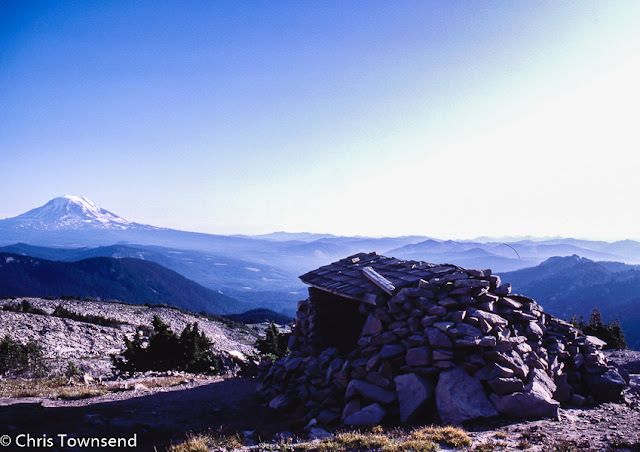 On September 1st thirty-four years ago I entered the Goat Rocks Wilderness and climbed up to the Dana May Yelverton Shelter where I would spend the night. That day I walked 22 miles and in the evening wrote in my journal 'A long day but a good one .... views really opened out on above timberline climb to Cispus Pass looking across deep Klickitat River valley to barren rock and talus wall of Gilbert Peak ..... final 2 mile 1000' climb up the slopes of Old Snowy Mountain ..... scree slopes and glacial run-off washes interspersed with rich alpine meadows still covered in flowers ....impressive sunset over Goat Lake'. 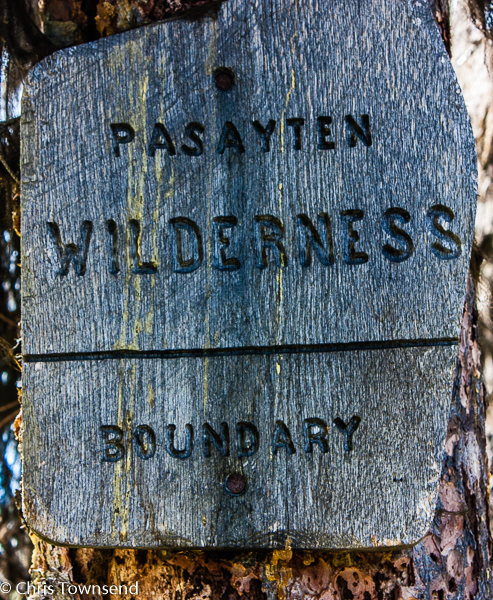 Twenty-eight years later to the day I entered another Wilderness Area, this time the Pasayten Wilderness, on the Pacific Northwest Trail. 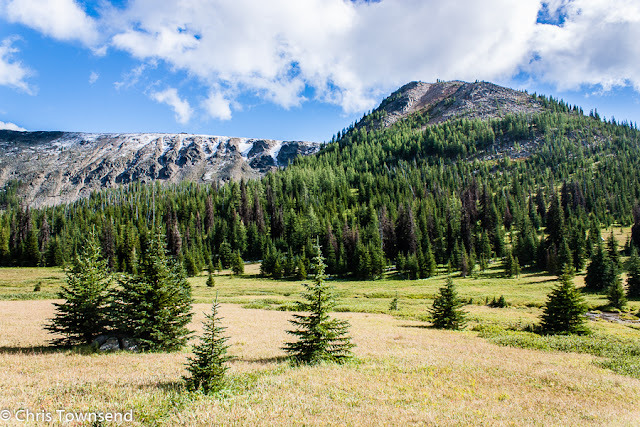 From my journal 'osprey over Palmer Lake & a loon floating on the water .... camped at 6880 feet on a wide col amongst lodgepole pines ... a good day that improved .... great views of jagged peaks to the west'. 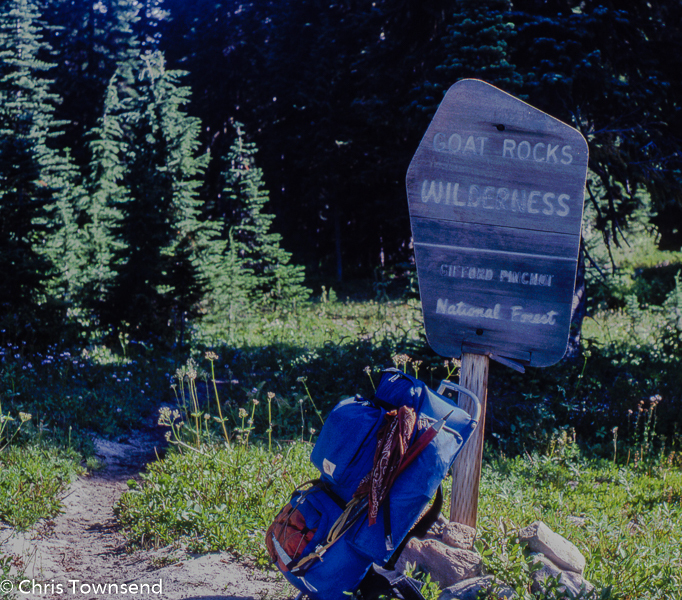 September was the last month of my thru-hikes on both trails and they were slowly converging and would soon run together for a while in the western Pasayten Wilderness before the PCT continued on north to the Canadian border and the PNT on east to the Pacific Ocean. 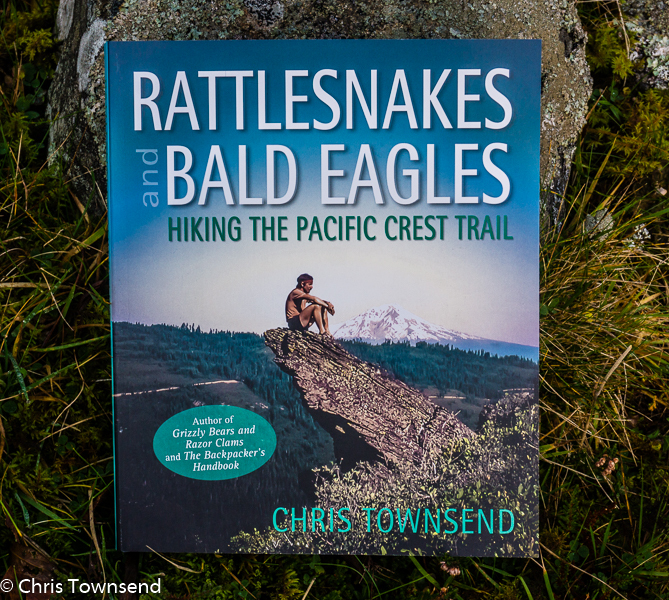 If you'd like to read more about my walks on these trails and see more pictures the stories are told in two of my books. The Pacific Crest Trail in Rattlesnakes and Bald Eagles, the Pacific Northwest Trail in Grizzly Bears and Razor Clams. The view from Goat Lake with Mt Adams framed by the glacial valley dropping off is something that stays with you but the views from above on the PCT aren't bad either.